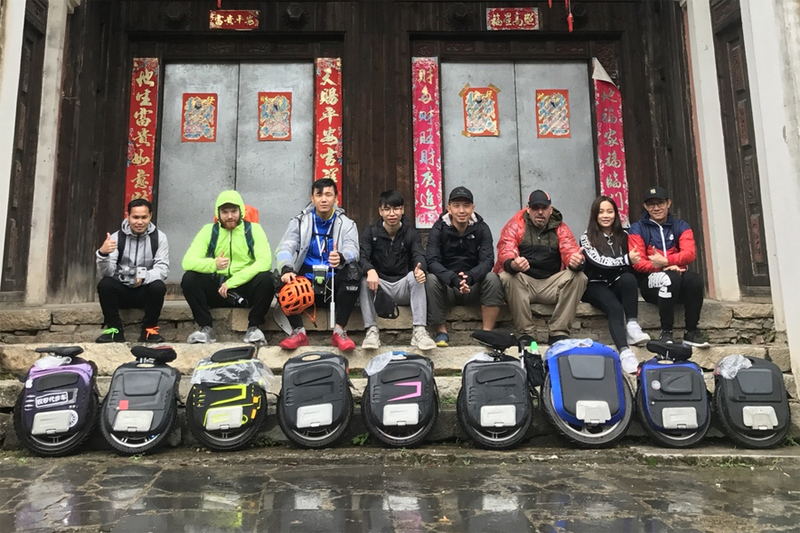 EUC tour to China is a great opportunity to immerse yourself into the everyday life and culture of the China, to visit modern metropolitan cities and magnificent mountains adored by numerous painters. An opportunity to meet and befriend local riders. It's a very interesting and intensive tour. Every day will be filled with new emotions and experiences. In this tour, I will try to show you the versatility of China: the harmony of its national parks and the rhythm of modern metropolises. It will be impossible to not be impressed! 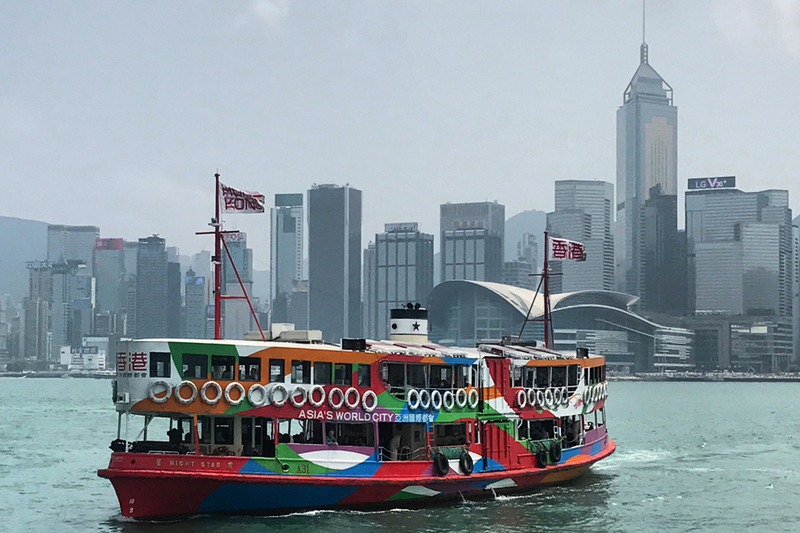 The 4th EUC tour will be even more interesting and packed with excitement because we will see one of the most advanced and urbanistic places in the world – HongKong, with its breathtaking beautiful views. 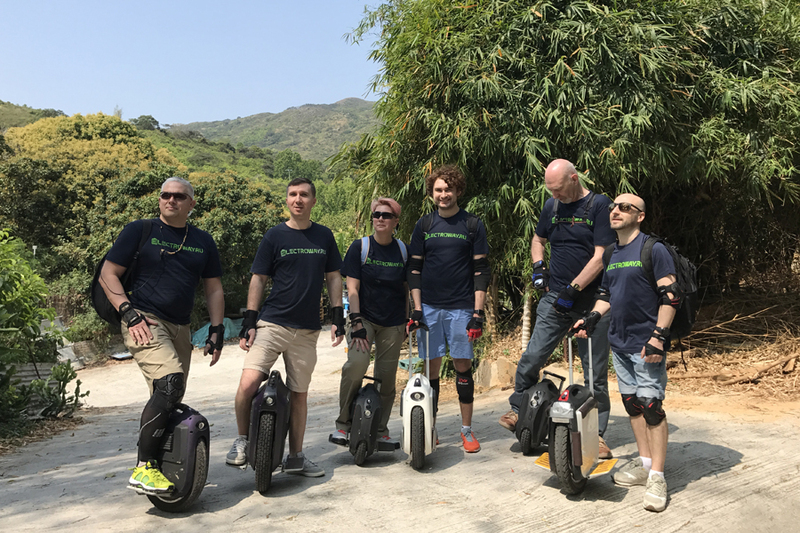 In HongKong, we will have a whole day to ride our EUC in mountains, and the local landscape is surely a sight to behold. Then we will move to Shenzhen, the Silicon Valley of China and the youngest and most rapidly growing city with hi-tech infrastructure. From Shenzhen, via a high-speed train, we will go to Guilin, a region listed among the hundred most beautiful places on the planet. 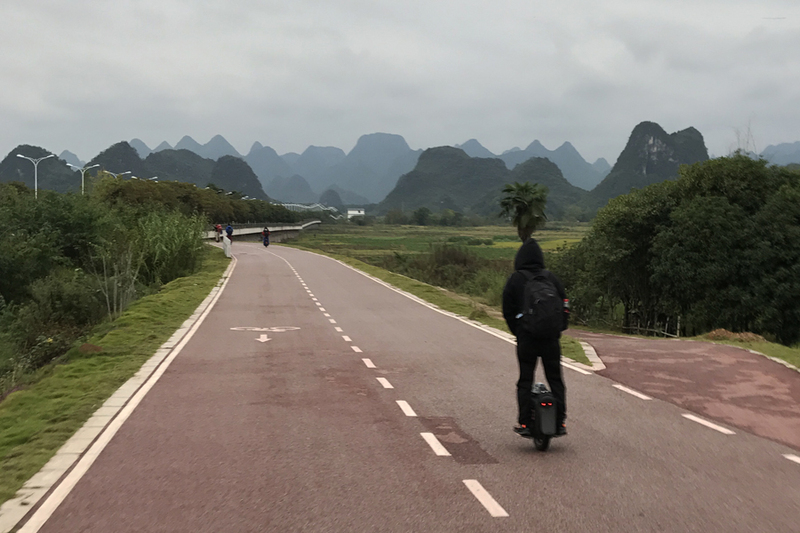 In Guilin, we will spend several days riding around picturesque hills and mountains, admiring strikingly beautiful scenery. 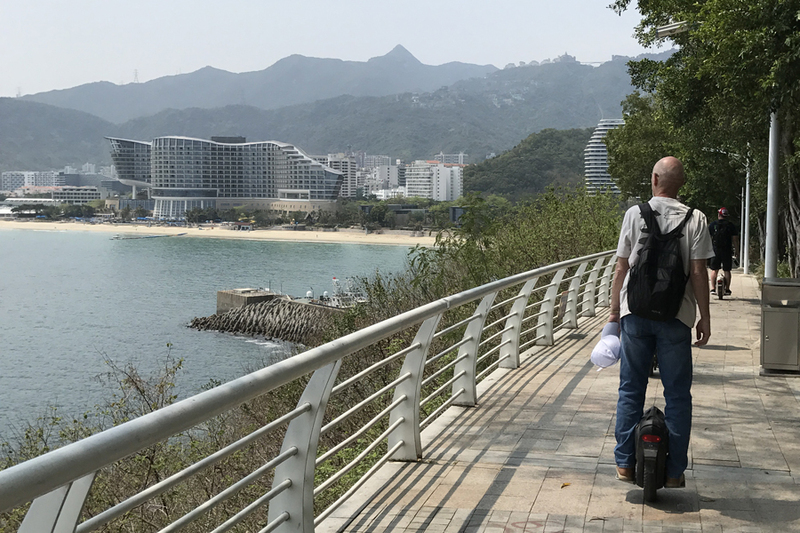 In the end, we will revisit Shenzhen and continue our exploration of the city going around its lovely parks and seaside areas. Here, we will also have time for shopping, an opportunity to test out new models of EUC and purchase the latest gadgets and goods of many of the famous Chinese companies like Xiaomi, Huawei, and Lenovo, as well as some authentic Chinese teas, silks and lots of other products at low prices. - Cover more than 300 kilometers on EUC. Our EUC tours is the most exciting adventure! To immerse into the Celestial Empire. To see, hear and feel China. To gain new experiences and take unique photos. To see the different sides of China: small ancient towns and huge modern urban areas. To taste outlandish, exotic dishes and try to understand why someone would eat them in the first place. 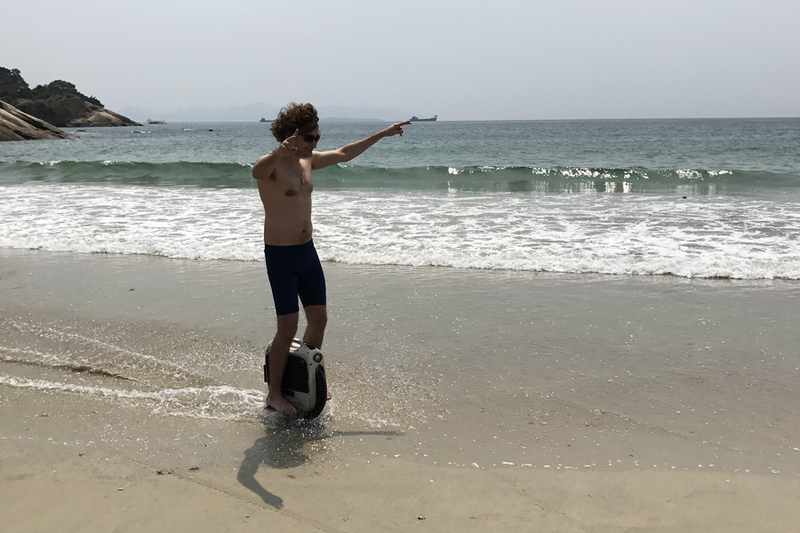 To swim in the South China Sea and climb mountain peaks. For those who are confident in their EUC skills and able to ride at least 50 kilometers a day. For those who are in China for the first time and can't imagine traveling without EUC. For those who want to see the real China. For those who like active and engaging holidays. For those who want to see the "gems" of Southern China in just 10 days. We will land in HongKong at 10:00 a.m. Then, we will go to the hotel by bus. After checking in, we will get some rest, have lunch and set out to explore the city. We will... 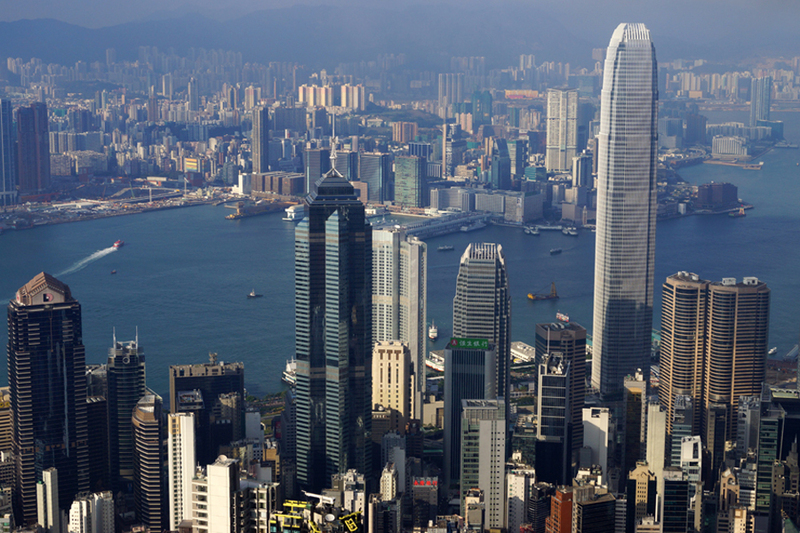 Climb the most famous lookout point – the Victoria Peak – which gives a terrific view of the city. 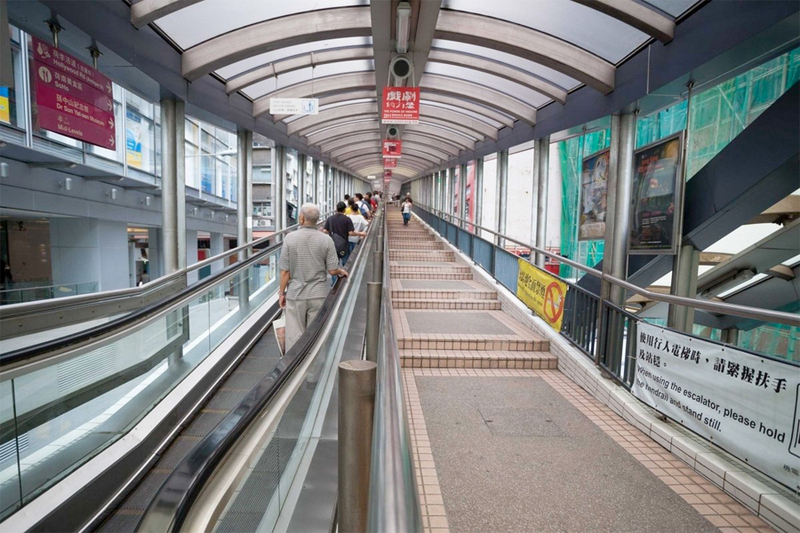 Use the longest escalator in the world – 800 meters in length. Ride a water bus connecting on part of HongKong with the other. 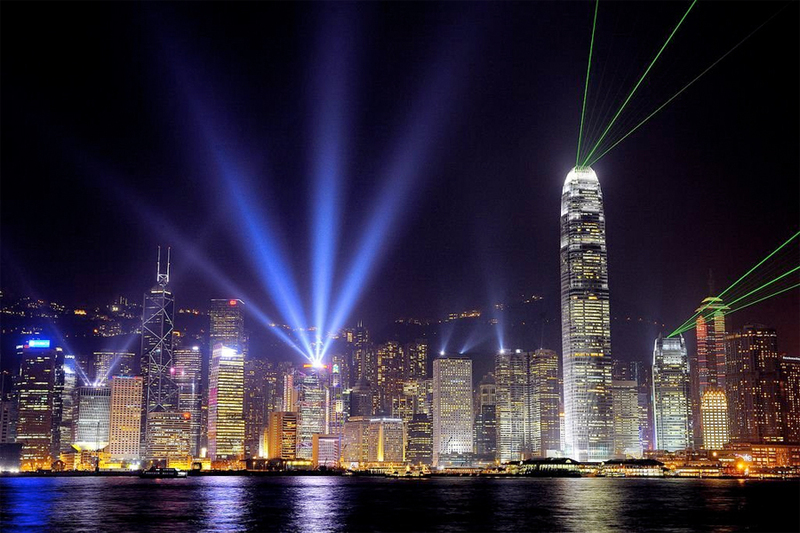 See the skyscraper laser show found in the Guinness Book of World Records. We will return to the hotel in the evening. Overnight stay in the hotel in HongKong. 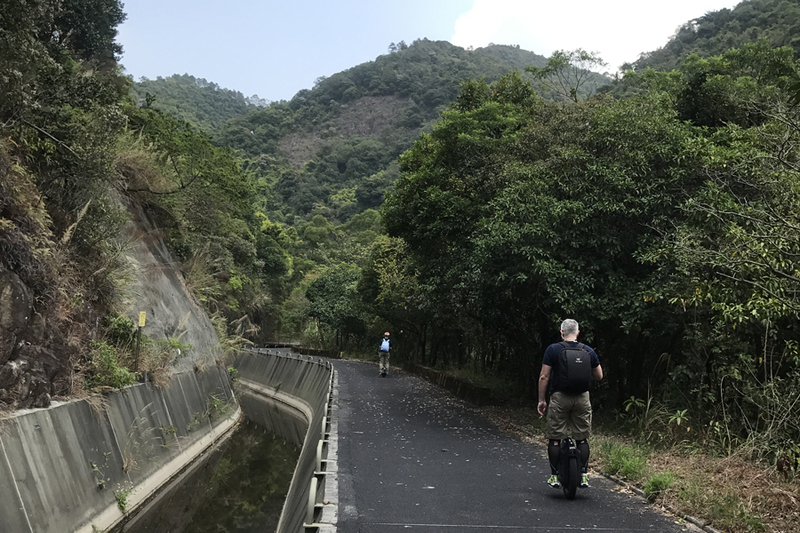 A trip to the Tai Mo Shan mountains in Hong Kong on EUC, ~ 50 kilometers. 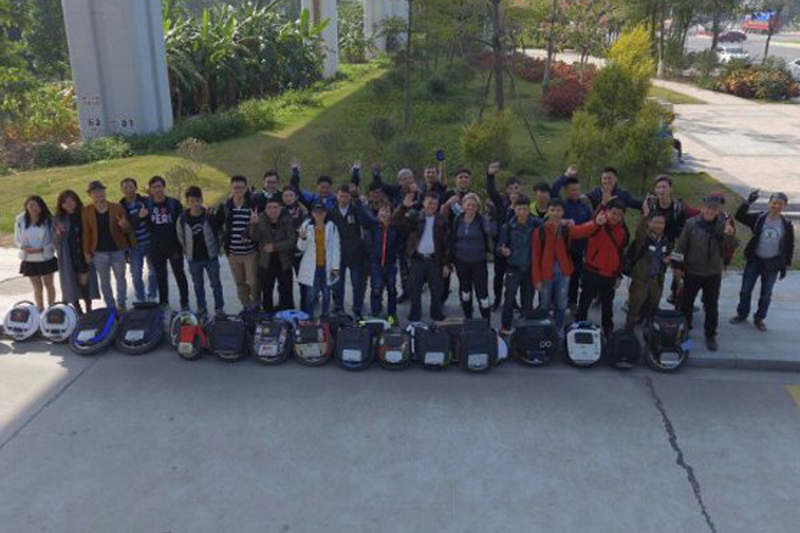 After breakfast, we will take our EUC and go for a ride to mountains for the whole day. Tai Mo peak is the highest point in HongKong, 957 meters, which gives a terrific view on the city. Apart from the magically beautiful natural scenery – sharp-spired mountains with gentle slopes, forests and lakes – Tai Mo can offer you a range of man-made landmarks: several viewpoints, a botanical garden, a bird park and a Buddhist temple. Walking routes among these mountains are ideal for EUC: the roads are smooth, the air is clean and fresh, the birds are singing, and the landscapes are unbelievably beautiful. What else do you need for a perfect ride on EUC? Right away in the morning, after an early breakfast, we will move to Shenzhen, check into the hotel, leave our things there and go explore the city. 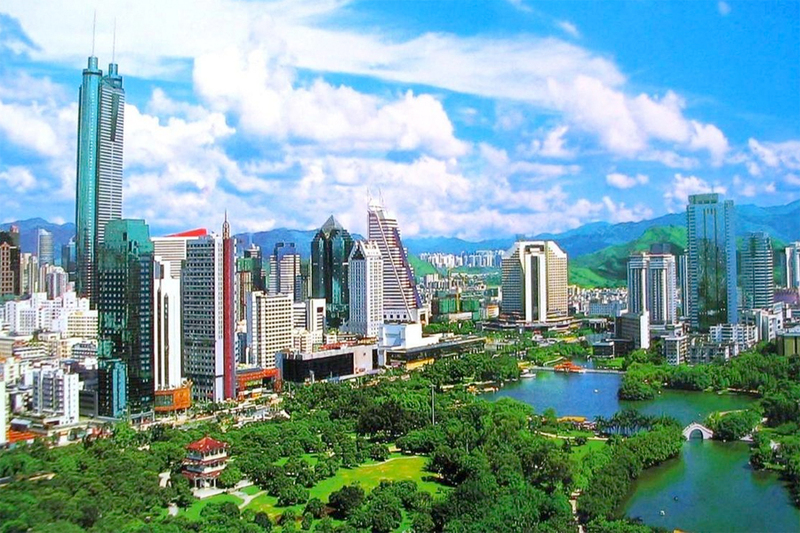 Shenzhen is the Silicon Valley of China, a world electronics center. Located here, among others, are offices of the most famous Chinese hi-tech companies like Huawei, Lenovo, ZTE and many more. 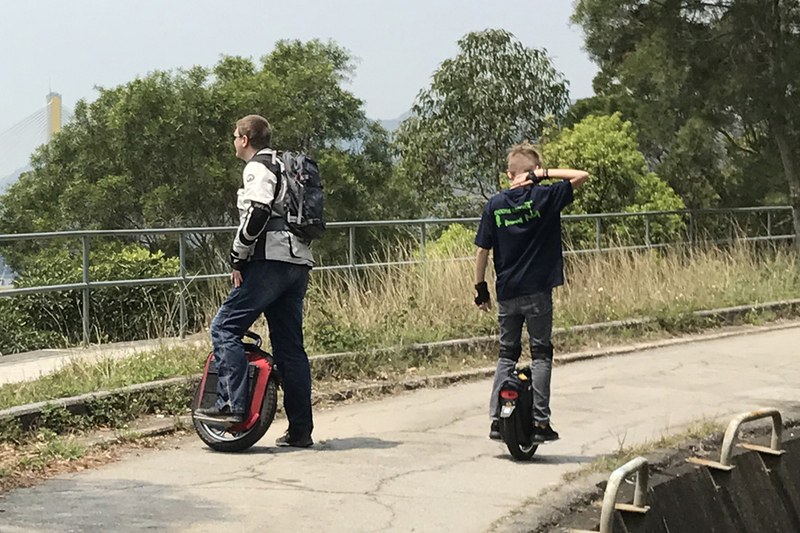 Most of the factories producing monowheels and other types of transport are also situated here. 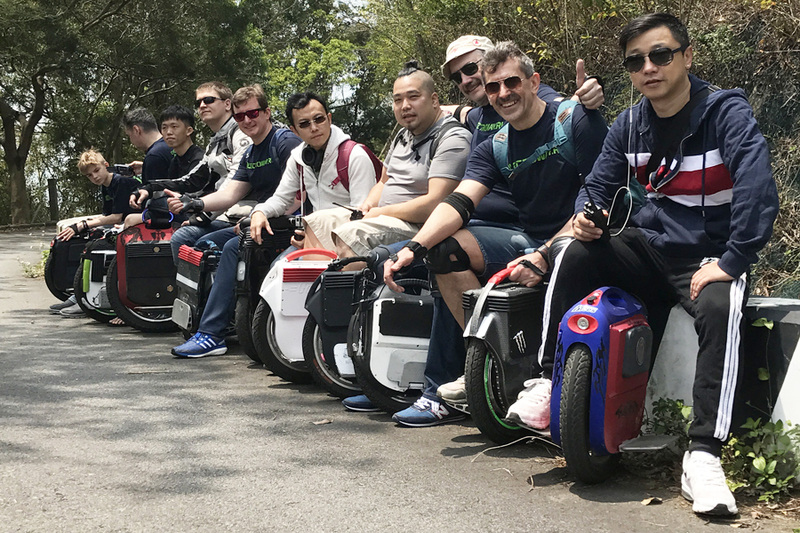 Shenzhen is the only city in China where electric transport development is supported on the government level, so it has all the conditions necessary for comfortable use of an EUC. 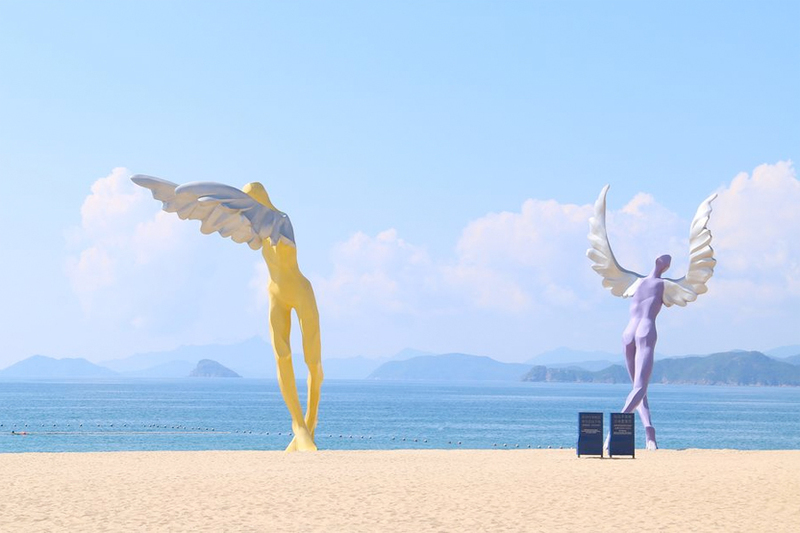 Shenzhen spread along the coast of the South China Sea, so, following the seafront routes, we will be able to see all the main attractions of this beautiful city. 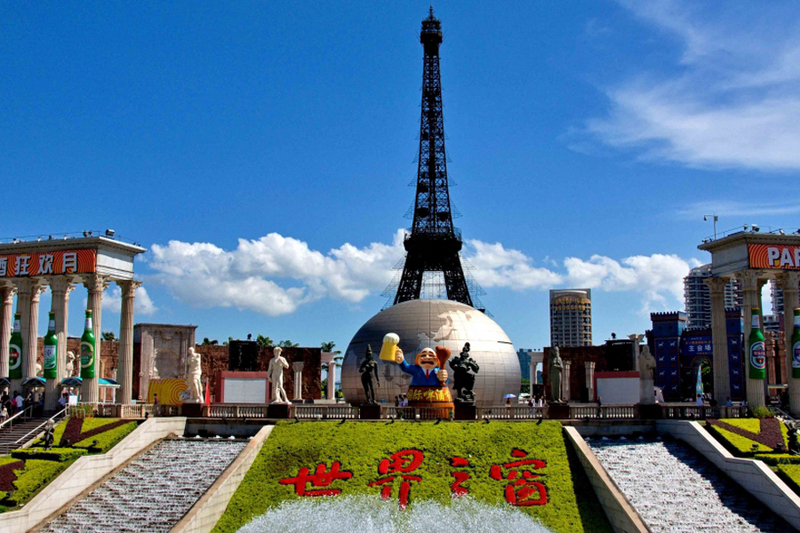 But not only that: we will even experience a round-the-world trip in a theme park "Window of the World". We will return to the hotel in the evening. Overnight stay in the hotel in Shenzhen. Right after breakfast, we will go to the train station, get on the train and set out to Guilin. The distance between the cities is 500 kilometers. By using the high-speed train, we will cover it in just 3 hours. Arriving in Guilin, we will check into a hotel in Yangshuo area and start to explore the local sights on our EUC. 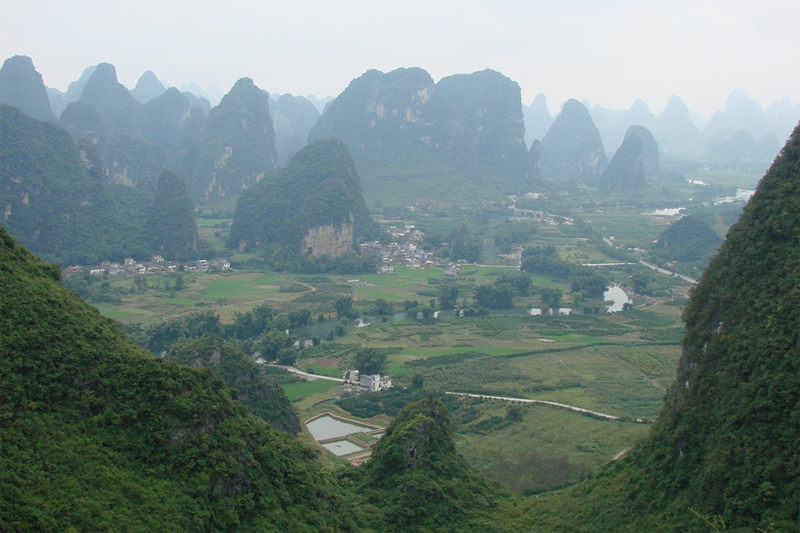 One of the features of the local landscape are karst peaks (limestone mountains having undergone century-long erosion). These are soaring, covered with soft forest greenery, alone and in groups, suddenly appearing amongst plains or reflecting in the calm waters of the River Li, which goes south to meet the Pearl River and go forth together to the South China Sea. Yangshuo is a good place to take a break from the hectic rhythm and stress of modern Chinese cities. Here, you can feel the spirit of the real China. As for the traditional rural life, you can find it in the villages near Yangshuo, which we will observe on our EUC, too. In the end of day 7, we will, also via a high-speed train, return to Shenzhen. 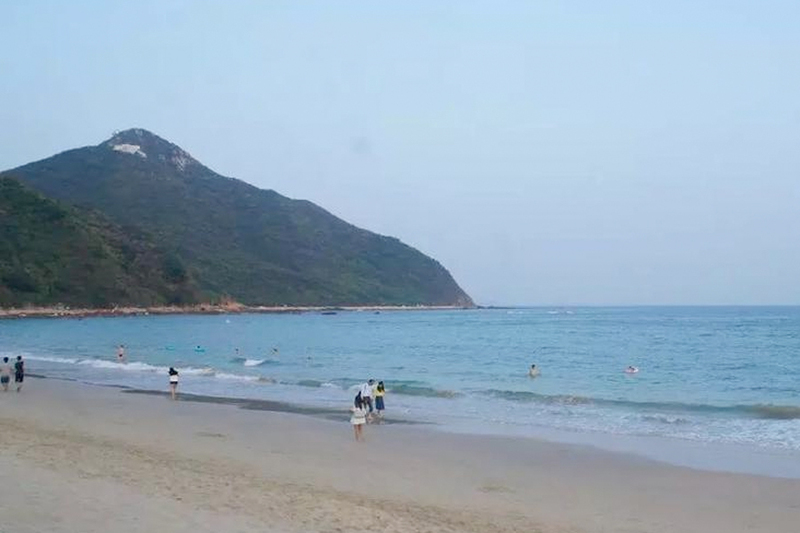 Daimesha, which translates from Chinese into "Big Beautiful Beach", is the favorite place to rest among Shenzhen citizens. Nan'ao Peninsula is a spot of serenity and comfort in the South China Sea. The main feature of this peninsula is its quiet and slow-paced life. We will ride along fishermen villages and see how the locals catch exotic fish, shrimps and crabs. After that, we will go up the mountains, from where the whole peninsula will spread before us, plain to see. The whole way of the route, we will take in the magnificent views and enjoy the beauty of the wilderness. Any questions? Want to join? please write on: info@electroway.ru with a note "EUC tour to China"